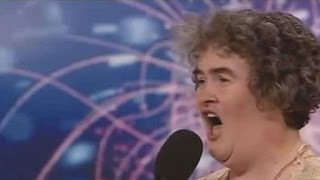 Ms Boyle, from Blackburn in West Lothian, has become a worldwide sensation after her voice stunned judges on the TV talent show. So far over 19 million have watched her rendition of I Dreamed A Dream from Les Miserables, on Saturday's show. West Lothian Council featured a clip of the song - thought to be her only previous recording - on its website. A Ladbrokes spokesman said they are offering the "shortest odds we've ever offered at this early stage in the show". Council leader Peter Johnston said local people were "absolutely thrilled" for Ms Boyle. He added: "Her voice is simply magic." Speaking from her home, Ms Boyle said: "I just take it all in my stride, I'm enjoying it. I haven't had time to think." Asked what it meant to her to get such support from Moore and Kutcher, Ms Boyle said: "That's overwhelming. That's something else." Questioned about her chances of winning, she replied: "I can only do my best, like everybody else." 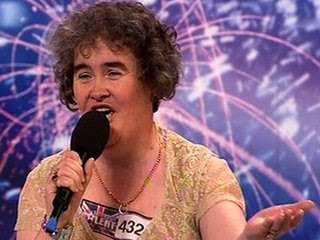 But judge Simon Cowell has said she has not won the competition yet. Speaking on GMTV on Friday, he said: "There are some acts that you haven't seen yet, it's not quite the one horse race you are going to think this is." The prize for winning the show is a chance to perform at the Royal Variety Performance.